Presiding over the programme, Mysore University In-Charge Vice-Chancellor Prof. C. Basavaraju observed that opportunities do not come to everyone in professional career. However, he advised people not to despair as hard work and honesty would create opportunities for them to excel. Retired VC of Mysore University Prof. S.N. Hegde released the book ‘Media Ethics’. He opined that ethics was a part of any profession and added that value-based education was needed to evolve morally driven individuals. Speaking on the occasion, retired Professor of Communication, Bangalore University, Prof. H.S. Eshwar opined that training and ethics were vital parameters in every profession including media which is often prone for criticism. 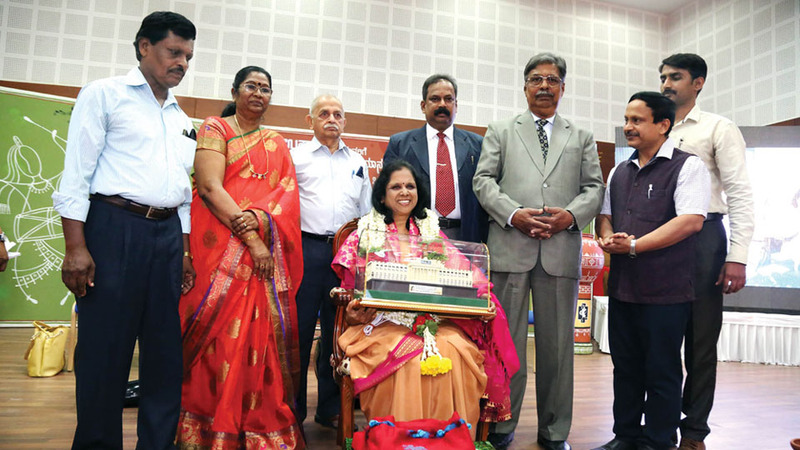 Addressing the gathering Karnataka Sanskrit University VC Dr. Padma Shekar opined that Usha Rani’s achievements were laudable and working women should emulate her (Usha’s) dedication and hard work. Speaking after receiving the felicitation, Prof. Usha Rani recalled that professional life always come with hurdles which should be faced, of course with good support from family. MP Pratap Simha and MLA G.T. Devegowda felicitated Usha Rani. Journalism professor Dr. D.S. Poornananda, Prof. Niranjan Vanalli, Dr. Puttaswamy and others were present.